In order to get the most out of the dog-person relationship, people must have a basic grasp of how dogs think & communicate and a solid grasp of basic canine psychology. All dog owners know that there are times when their four-legged friend seems to understand just what they are thinking. Over the years, the field of canine psychology has demonstrated that there is a large degree of truth in this assumption. Dogs are able to learn words - specifically nouns and verbs - so that they know what their owners are referring to when they issue commands. Dogs can follow the gaze of their owners, and they demonstrate other behaviors that are also evident in human psychology. 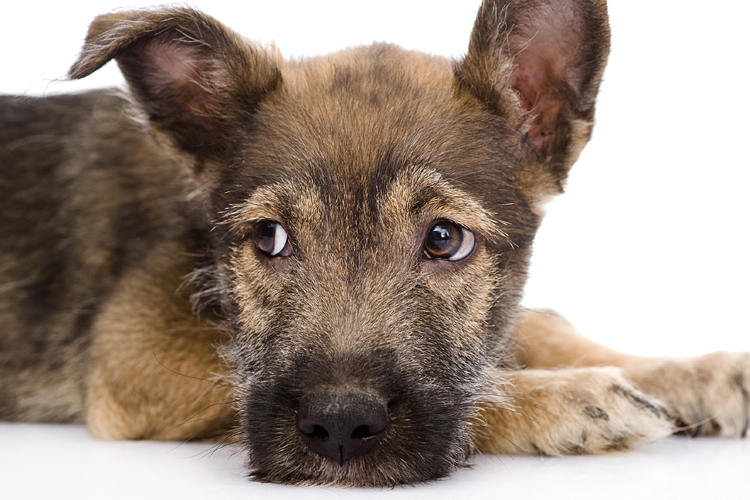 Dogs can even become susceptible to disorders such as depression and compulsive behavior. Dominance and Dog Training: This article explores the phenomenon of whether or not there is such a thing as an alpha dog. Do Dogs Need "Tough Love"? Learn how the idea that one must give a dog "tough love" is a myth via this link. Is a Dog a "Person"? Dogs often act like people, and this piece looks at whether dogs are truly "persons." Life with the Six Pack: Explains how canine psychology can keep many dogs getting along well with one another. Normal Canine Behavior: What is normal canine behavior and when should one worry that the dog is maladjusted? Article provides some answers. Separation Anxiety in Dogs: Dogs do experience separation anxiety, as this article demonstrates. Science and Dog Training: Read this article to understand the different approaches to dog psychology. What Do Dogs Think? 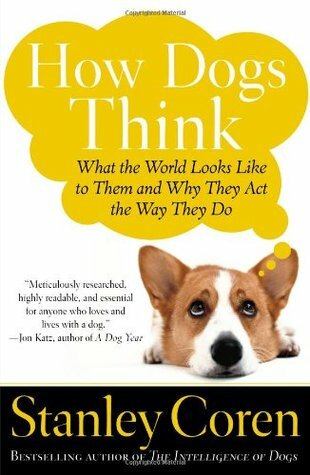 Q&A from an expert in dog cognition can help any reader better understand man's best friend. What Is Your Dog Thinking? In this piece, a new method for understanding dogs and their thinking through brain scans is described. Wolfdog Behavior: This article focuses on wolfdogs, what it describes in terms of canine psychology may also apply to canines. Canine Body Language: This is a comprehensive guide to what the body language of a dog can tell other people. Canine Communication Guide: Kentucky Humane Society presents this overview of dog communication. Communication to Prevent Dog Bites: If one knows what a dog is communicating, one might be able to avoid dog bites, as this article demonstrates. Dog Behaviors and Communication: Pet Pals gives this easy-to-follow guide to dog communication. Dog Communications and Postures: What the posture of a dog says about its attitude is the special emphasis of this piece. Dog Social Play Communication: This piece looks at dogs and how they communicate while playing. Dog Talking with Kids: Kid-friendly site that helps young people learn what dogs are telling them. How to Interpret Your Dog's Body Language: This pictorial guide makes it easy to learn how to "speak dog." Types of Canine Aggression: Various kinds of canine aggression are explained in this piece. Why Won't My Dog Listen to Me? 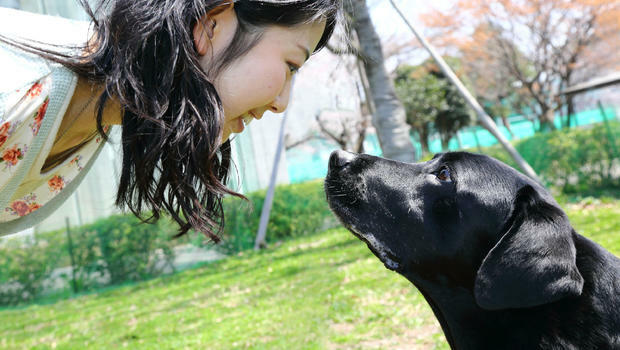 Hiram College presents this article that helps dog owners better communicate with their dogs. Animals as Agents of Socialization: Properly socialized dogs can improve socialization of those with mental illnesses, as this work illustrates. Fighting with Dogs: This article looks at dog-dog socialization and the phenomenon of dogs fighting with other dogs. Importance of Maintaining Socialization in Dogs: Learn why it is so important to keep a dog properly socialized over the course of its lifetime by reading this piece. The Importance of Puppy Socialization: Key to socialize puppies from the start, as this work demonstrates. Smart Socializing: Though this page focuses on the socializing of pit bulls, what is learned by taking the socialization quiz can be applied to all canine interaction. 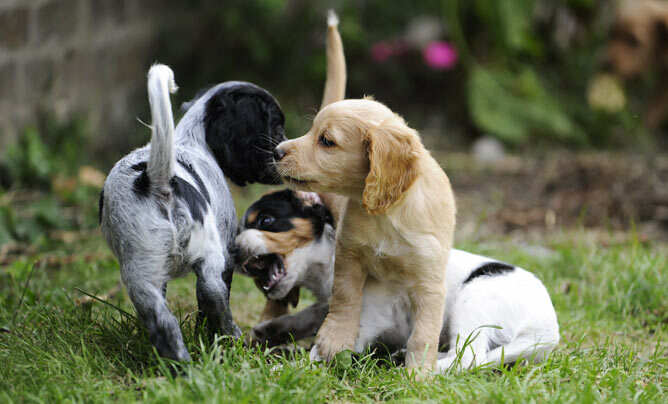 The Socialization Scene: A basic guide to puppy socialization and training. Socialize Your Dog: Oregon Veterinary Medical Association explores why it is so important to socialize a dog well. Socializing Adult Dogs: Tips on socializing an adult dog. Socializing Your Pit Bull: The principles for socializing pit bulls that are given on this page apply to all canines. Why Socializing Is So Important: Basic socialization procedures for puppies are given via this link. Benefits of Training Your Dog (PDF): Guide from Lake County, Florida, shows the many benefits of training one's dog. Caring for Dogs with a Past: Training adopted strays presents special challenges, as this article argues. Comprehensive Dog Information: Comprehensive guide to dogs explores the importance of proper diet and training for canines. House-Training Your Dog: Work with your dog's instincts and tendencies to house-train your dog. Is It Important to Train My Dog? Short piece looks at importance of training a dog and suggests a good training method. LCTR Why Train Your Dog? 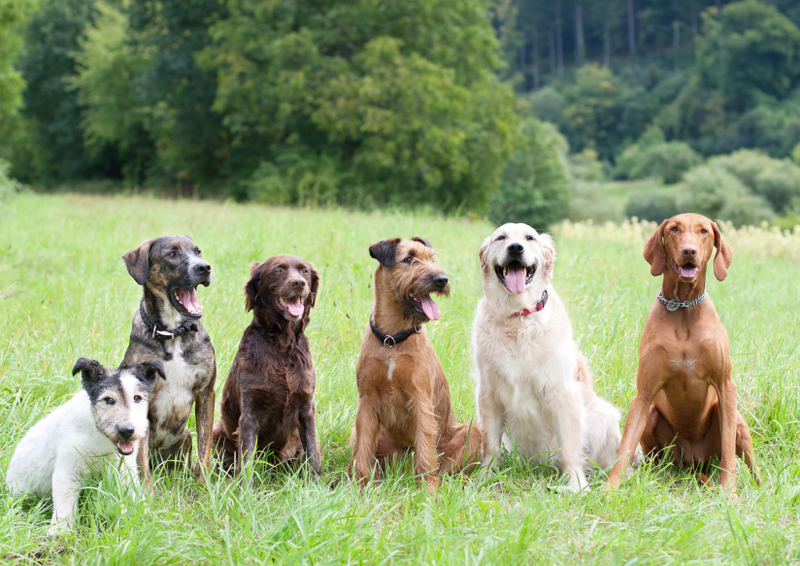 Long Trail Canine Rescue explores the reasons why people should train their dogs. The Need for Obedience Training: Dogs need obedience training, as this article argues. An Obedient Dog Is a Happy Dog: Learn the connection between canine obedience and happiness with the help of this article. Why Train Your Dog? This piece explores the many reasons why dog owners should train their dogs. Training and the Canine Mind: This work explains how training conditions the canine mind. While dogs do not use words to tell people or other animals what they are thinking, that does not mean that there is not a type of "dog language." This language consists of barks, growls, yowls, whimpers, postures, and so forth. In fact, it is possible to differentiate between different kinds of barks and to see in a dog potential signs of aggression. Dog owners can tell a lot about the attitude of their animal based on the mouth and tail. Relaxed dogs will have a relaxed, open mouth. Aggressive dogs will bare their teeth and growl. If the growl is accompanied by a stiff, upright tail, then the person should be wary that the dog is willing to bite. A sweeping wag of the tail, however, often indicates playfulness. Making sure that a dog socializes well with other people and animals is key to the animal's long-term well-being. A properly socialized dog knows that not every stranger or unknown animal is a threat, and that will reduce its proclivity to get into fights or to go after those who mean no harm. Regularly socializing a dog from the puppy stage onward is key to making sure that the animal is well-adjusted around people and animals. A great way to socialize a dog with other dogs is to take it to a dog park and allow it to get to know other dogs with your supervision. Dog owners should also make sure that their animal is introduced to a wide variety of people as well, and having these people give their dog a treat will help the animal recognize friends and be wary of foes. Every year, scores of people and dogs are injured because dogs have not been properly trained. An obedient dog is a safe dog. Such a dog will heed the master's call if the master calls it back from a potentially dangerous situation. An obedient dog will also listen to its master's call to heel and not go after other people or animals. Proper training of canines is not difficult, and it pays off for years to come.